Mr porter and Nordstrom rack have various converse 70s for half price. kungfu koala, rashad8869, dru812002 and 2 others like this. rashad8869, mossman1975 and jkitty like this. Do you know a release date? kungfu koala, rashad8869, h-n-t-w-m-n and 1 other person like this. rashad8869 and dc30 like this. Let's see some on feet!!! Do I spy Ice T record in the top left? WTF.. anyone else try to buy the CLOTs this morning and it went from Coming Soon to OOS? Literally the last BHM themed kicks i ever purchased was the Kobe 9 pair. I honestly think the black pair hit all the right notes, but this white pair though.....just had me. h-n-t-w-m-n and rashad8869 like this. 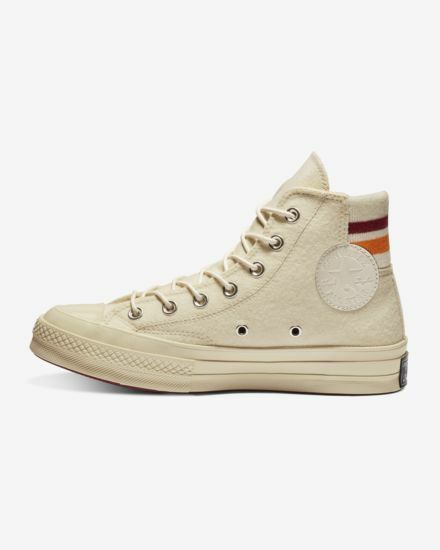 I honestly think black Chuck pair had all the right notes, but this white pair though.....just had me. The last ones I bought were the Kyrie 2. I had to have these Chucks though, I liked both pair but figured I would wear this pair way more. Could not agree more. These are getting some major airtime. I think that ship sailed. At least they're $100. Resell can't be that bad.